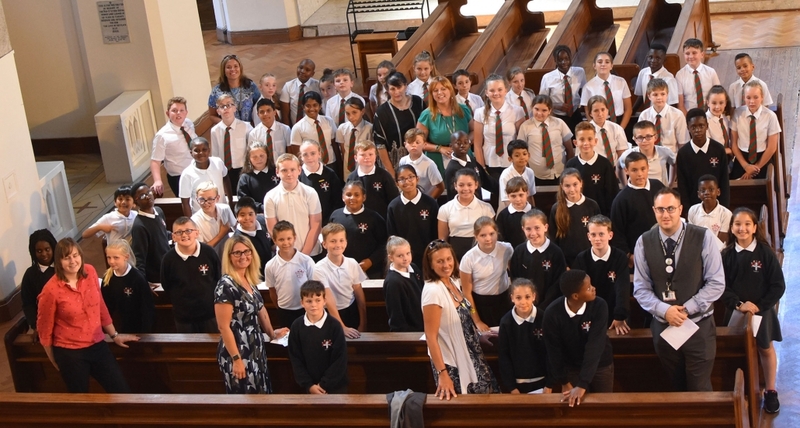 What a delightful occasion it was in St David’s Metropolitan Cathedral when pupils in the senior classes of our Catholic Primary Schools gathered to celebrate a Mass to mark their movement into secondary education. 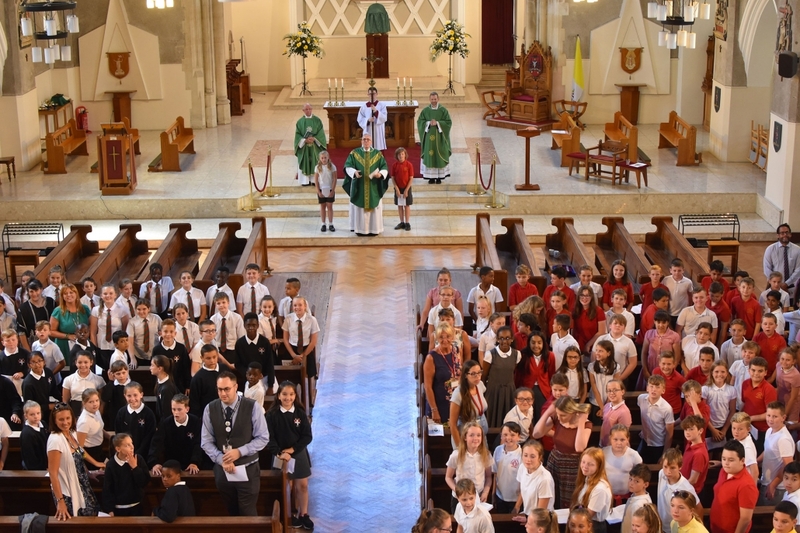 Indeed, there were so many pupils, a tribute to our Catholic education system in the diocese, that two Masses had to be held to accommodate the numbers, with the celebrant in the first Mass being Archbishop George, and the second, the Dean of the Cathedral, the Revd Canon Peter Collins. The body of the cathedral was a mass of colours, each school class appearing in the lovely colours of their school. Archbishop George gave some wise words on the transition from being the senior pupils in their individual primary schools tooth most junior in their new secondary schools. Canon Peter comforted them and encouraged them to seek out the new opportunities they would face in their new schools, and his inspiring words brought back memories of my own transition from primary to secondary. In primary I was no good at football, the main sport in my country, Scotland, unlike the rugby culture in Wales. Yet I moved to a grammar school, the first of my family to ever do so, where all sports were encouraged. I found a new joy in rugby, encouraged by the physical training staff, and soon won a place in the first year team, playing against other schools on a weekly basis. As the years went on I represented my school in rugby, athletics and cricket and went on to play all three at university level. Canon Peter’s wise words of encouragement to our Catholic primary classes moving on to secondary, to seize the day and look for new opportunities in their new schools, brought back memories to me. His talk, I am sure, gave inspiration to all these youngsters making this great break in life. They now move from their dedicated teachers in primary to dedicated teachers in secondary. We wish them all well.